I might actually enjoy applique and hexagons. I held off for as long as I could, but I just couldn't resist how cute these little hexagons are. I don't know that I will ever make a quilt with them, but they are so fun to add to projects. These hexagons made their way to a bib. Now that my baby is 8(!) months and eating solid food, I'm finding that our bibs from the older kids are pretty much worn out. I made couple of these several months ago as an easy quick project. I just think they are adorable, so I whipped up a few more for the babe and a few for my shop. 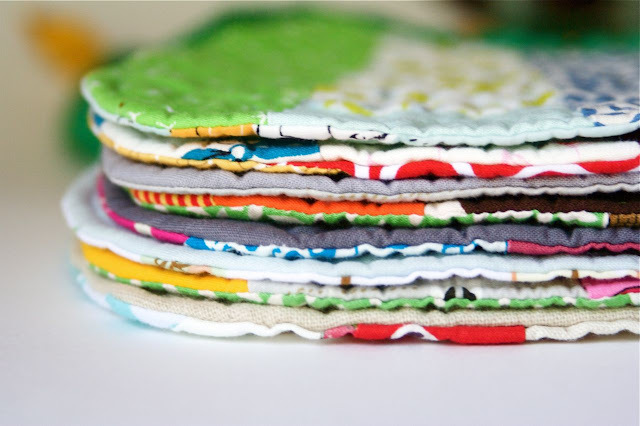 and I always love a stack of quilts, so of course I love a stack of bibs...it's like a bib sandwich. oh my goodness, nettie!! that little hexie bib is soooo cute!! wish i had a baby to buy if for!! These are just SO cute! Great idea. I love that pattern - so cute....your hexies look so fabulous! What ever you make will always be darling, Nettie. You just have that eye for color and designs. Are you putting them on etsy? You may now become the hexy queen. What a great idea in using them in small projects! Such a clever way to use Hexes. Thank you for the idea. Yes, I have recently jumped on the hexie bandwagon too. The bibs are adorable! Adorable...and your pattern looks much easier than the one I was making. I think I'll have to convert! Nettie! I'm so glad you posted a link to the pattern. As soon as that etsy shop is back up, I want to get it. I love the bibs you made for my babe. everything you make is adorable!!! the bibs look so much easier than the ones i normally make. and i have bibs on my to do list. i just may have to try these. Super cute! Nettie . . . you are amazing!! Those bibs are adorable! I make really neat bibs out of terry cloth for my little girl and all of my neighbors that my husband has titled "full coverage" If you would like, I would love to send one off to you! Thanks for sharing so much of your craftiness!! if you would like a little bib, email me! Thanks for the link. They are absolutely gorgeous. Maybe I could make a couple tonight??? Great use for the hexies. My sis is trying to get me to try them, too. 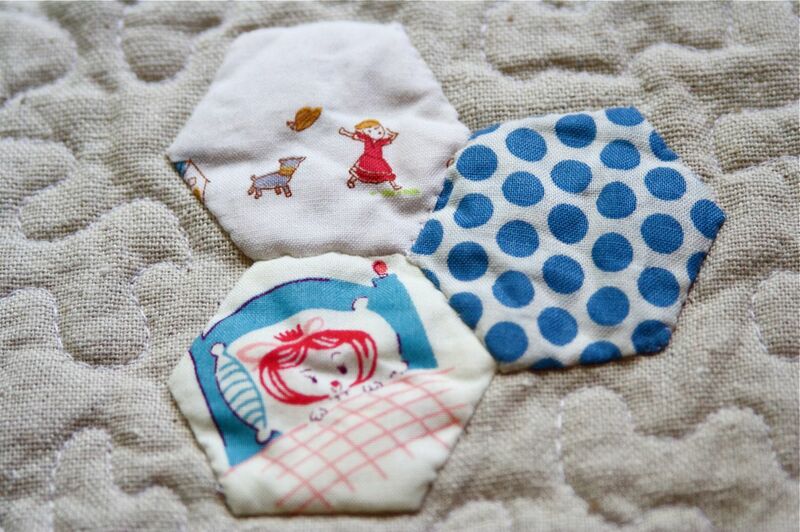 I like that you found a small way to do them, without diving in to a whole quilt. Nice work! Those are such cute bibs! those bibs are precious! What a great idea! I'm terribly addicted to hexagons right now. I don't know why! 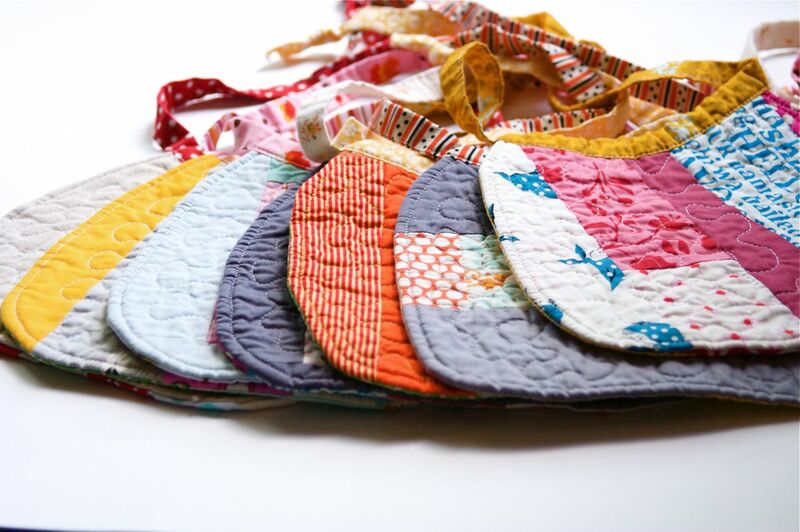 Your bibs are adorable. 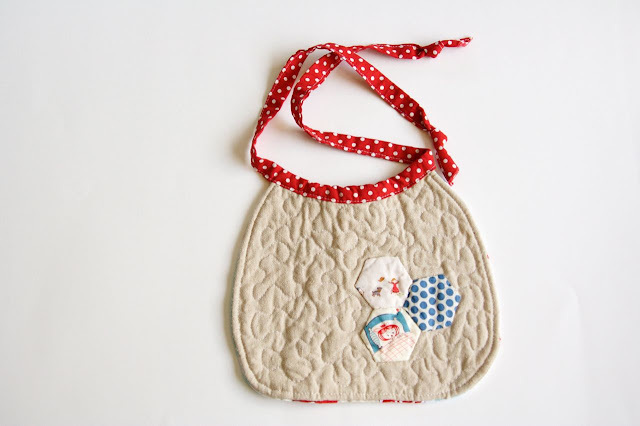 Those three little hexagons on linen made with fabrics in MY stash, adorable, such a favourite colour combination. 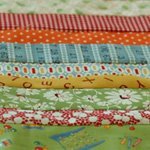 Yes I agree, appliqué is used extensively in quilting. "Dresden Plate" and "Sunbonnet Sue" are two examples of traditional American quilt blocks that are constructed with both patchwork and appliqué.